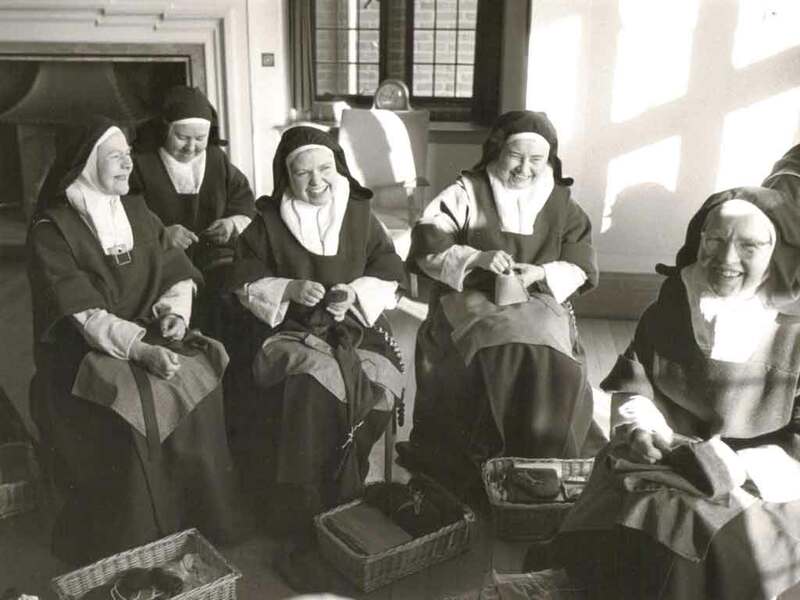 The Carmelite Monastery of Our Alone Saviour and the Blessed Virgin Mary in Ware was founded in 1925, originally at Hatfield, moving to Hitchin in 1938 and finally settling at Ware Park in 1958. We are under the patronage of St Thérèse of Lisieux, since ours was the first Carmel in the world to be established after her canonisation. A stone carving of St Thérèse by Stephen Foster stands at the entrance to our Carmel (see centre image above). Our foundation came from the Carmel of the Blessed Trinity at Notting Hill in London, which traces its roots back to Avila via Paris. 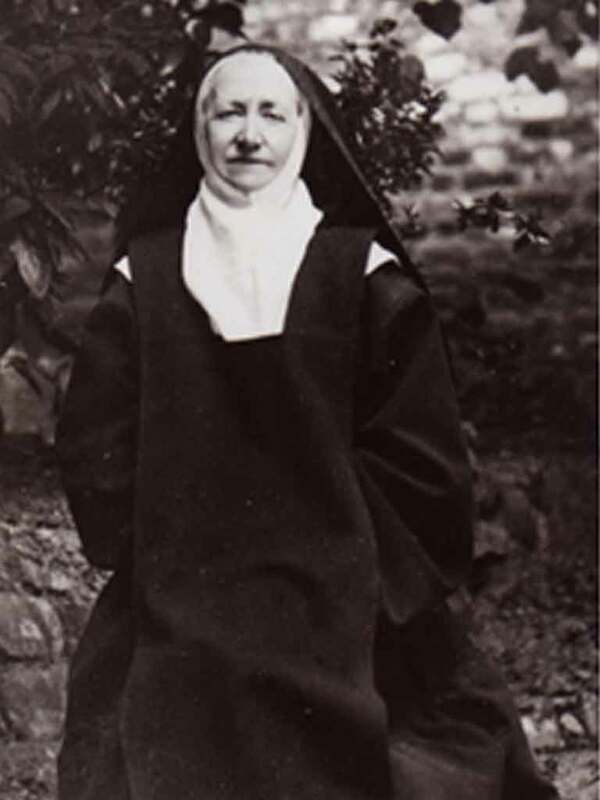 Under Mother Mary of Jesus, then Prioress at Notting Hill, thirty-three foundations were made between 1907 and 1937. 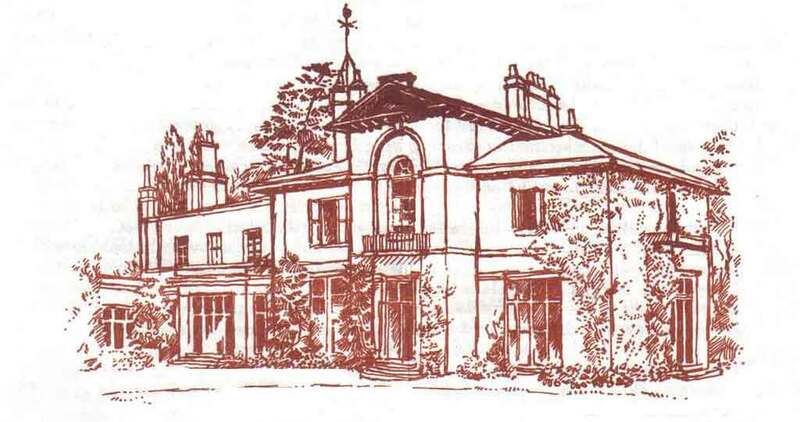 On 28 June 1925, the first group of sisters set out by car and charabanc, with their baskets and luggage, for the new Carmel at Hatfield. The enclosure ceremony took place on 15 July, at which Cardinal Bourne officiated. The first Conventual Mass after the opening of the monastery was said by the Cardinal the following day, the Feast of Our Lady of Mount Carmel. The monastery was built on a relatively small plot of land, with only one acre for the garden, and adjoining the London to Edinburgh railway line. In time it became clear that the community needed to seek a place of greater silence and solitude. 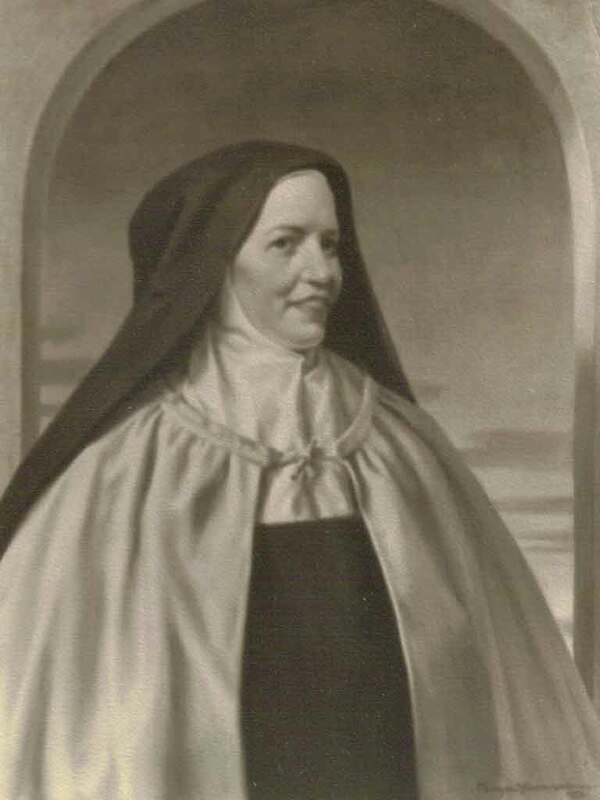 The Prioress, Mother Mary of the Cross, began to look for a more suitable site, and one was found in Hitchin. Carmelite Friars had occupied Hitchin Priory until its dissolution in 1539, and locals welcomed the Carmelite return to Hitchin. Two Sisters set out in September 1938 to take possession of the new property, and by December the whole community had moved. The community lived at Hitchin for twenty years. 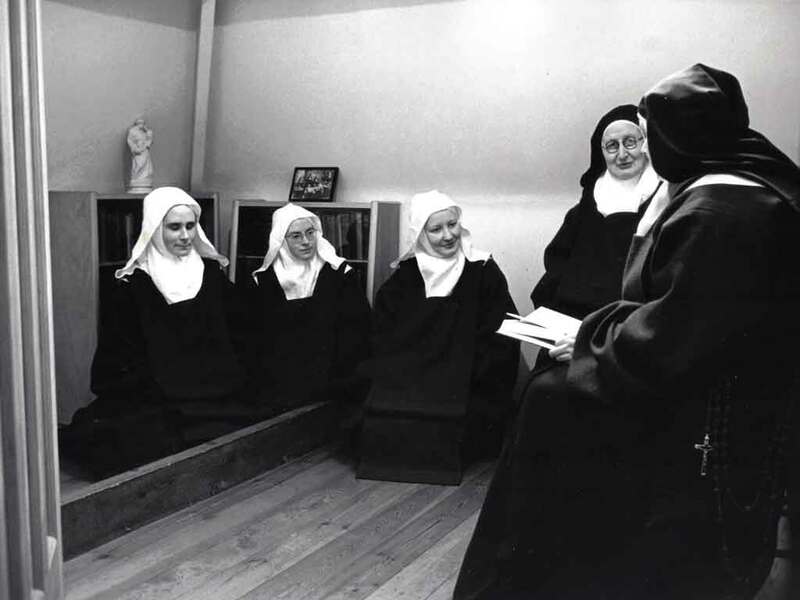 In 1952 Mother Mary of the Annunciation succeeded Mother Mary of the Cross as Prioress. By this time, it was becoming clear that the buildings – full of dry rot, woodworm and leaking roofs – were fit more for demolition than repair. Once again, the community began the arduous task of looking for a suitable property. The site at Ware Park was identified, and had many advantages, set apart as it was from the town, with plenty of land and wide horizons. The property was purchased, and the community moved in October 1958. The following months were spent settling in, and building work was undertaken to create the chapel, extern area and cloister. Open days were held before the enclosure ceremony on 29 September 1960. 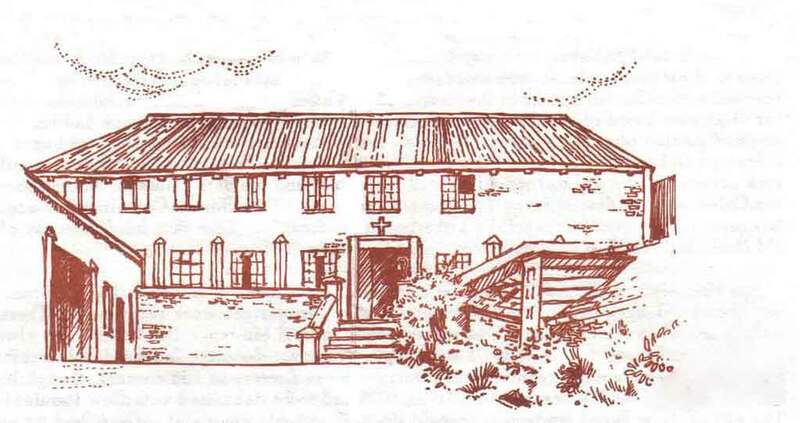 During the years that followed, further building work was completed including an extension for the library and four new cells in 1968; a reordering of the Chapel in 1988, and a renovation to create a new novitiate and altar bread offices in 1998. Our community continues to flourish and grow. We give thanks for God’s Providence, and for the many friends and benefactors who have supported us over the years. We look forward to celebrating our centenary in 2025!